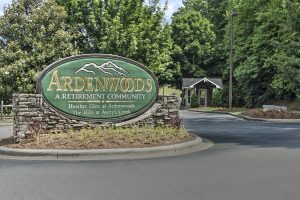 Come visit our senior independent living community! Call 828-684-7330 to schedule a tour or visit our Contact page. From I-26: Take exit 37 and go west on Long Shoals Road (also known as NC-146). Turn left at the second stoplight (south) onto HWY 191 (Brevard Road) and go 1.5 miles. The community will be on your left. Follow the signs to the Clubhouse/ Administration Building. From Asheville: Take Brevard Road (HWY 191) south 6 miles past the Biltmore Square Mall. The community will be on your left. Follow the signs to the Clubhouse/Administration Building. Guest parking is available at the entrance.